Since you probably only pay attention to the front of your house when you’re pulling away in the morning and returning home in the evening, you might have found yourself spending a lot more time decorating the inside of your home than the exterior entry. This is, however, an essential part of your house! 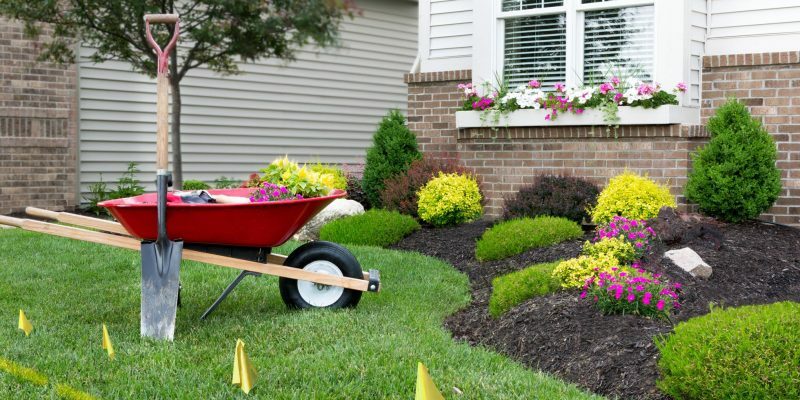 It gives people their first impression of where you live, so if you want to have great curb appeal, you need to pay attention to how it looks. As you read on, you’ll see some design standards you should adhere to achieve this appealing curb appeal. Symmetrical houses are usually naturally pleasing to the eye, but sometimes they can lack depth and visual interest. If your home has perfect symmetry, play it up by using shutters that contrast with the main color of your exterior walls and by selecting a bold front door that will draw people in. Furthermore, since symmetrical houses often have stoops instead of front porches, adding columns by your entry door can supply additional depth. If you live in a two-story or three-story home, let its height dictate your exterior design plan. There are several ways to make big houses work to your advantage from a decorating standpoint. You might, for instance, want to use vertical siding boards instead of conventional horizontal ones. You can also add dormers to upper-level windows, which will draw the eye toward the top of your house. Height isn’t the only size-related feature that can help you design a beautiful front entry. An extra-wide house can also be advantageous. Wide front porches that typically lead into expansive walls of windows on either side usually have a naturally upscale appearance. Take this into consideration when you select finishes for your front entry. Choosing a high-end exterior light fixture and adding wide-set planters, for example, can elevate the look of your home’s exterior. When you are making design decisions regarding your front entry, remember that odd-numbered groupings tend to be more aesthetically pleasing than even-numbered sets. This doesn’t refer to your house number, but rather to things like the number of throw pillows on your outdoor sofa or the number of panels on a door with glass insets. Instead of using four of something, for instance, use three or five. Talk to a professional designer if you have questions about how to best use your home’s existing features! At Hatch Homes, we take pride in serving families throughout the Carolinas and Virginia. If you are planning to remodel the front of your house in the near future, we hope you’ll call us today to schedule a consultation. We’ll be with you every step of the way, from making major design decisions to ensuring that all the details are just right on the final day of the project. We look forward to working with you!